By Caz | December 20, 2018 | This post may contain affiliate links, which means we may receive a small commission, at no cost to you, if you make a purchase through a link. Read our Disclosure. 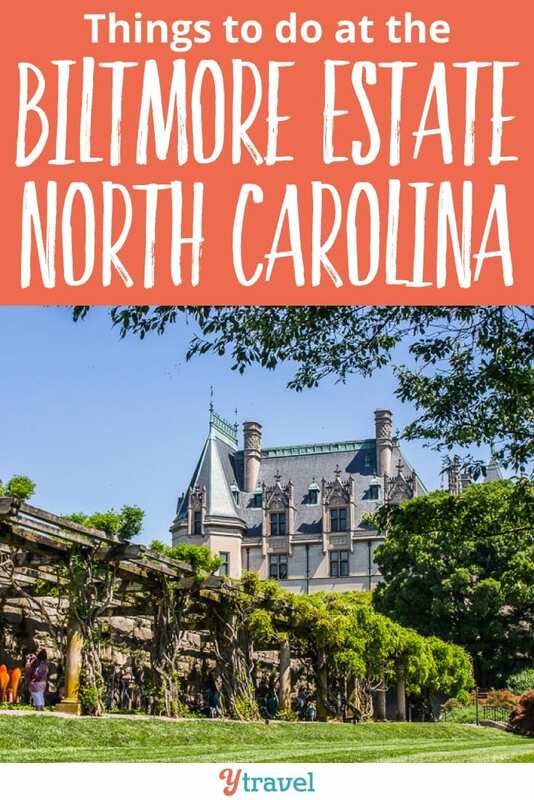 I love that the largest home in America, the Biltmore Estate is located only a few hours drive from my house in Raleigh. 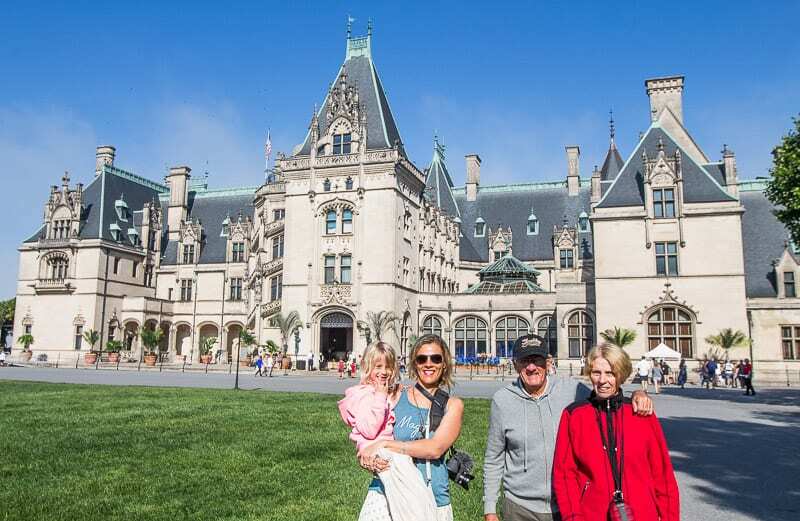 I could not take my parents on a road trip from Dallas to Boston and not stop in and visit Biltmore Estate. As you’ve learned we are Fixer Upper and House Hunter fans. We love to look at beautiful homes and imagine and dream. There’s no better place for house dreaming than at the largest private home in America. 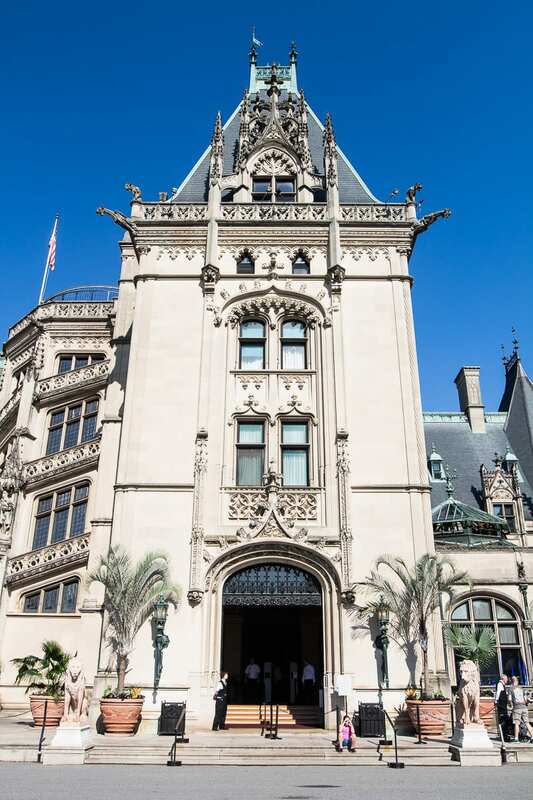 The Biltmore Mansion sits on an 8,000 acre estate nestled in the Blue Ridge Mountains of Asheville, North Carolina. The Biltmore Estate is fairly close to the Smoky Mountains National Park and only an hours drive to my beloved Lake Lure. My mother doesn’t like to research or look at an experience before traveling there as she wants to be surprised. 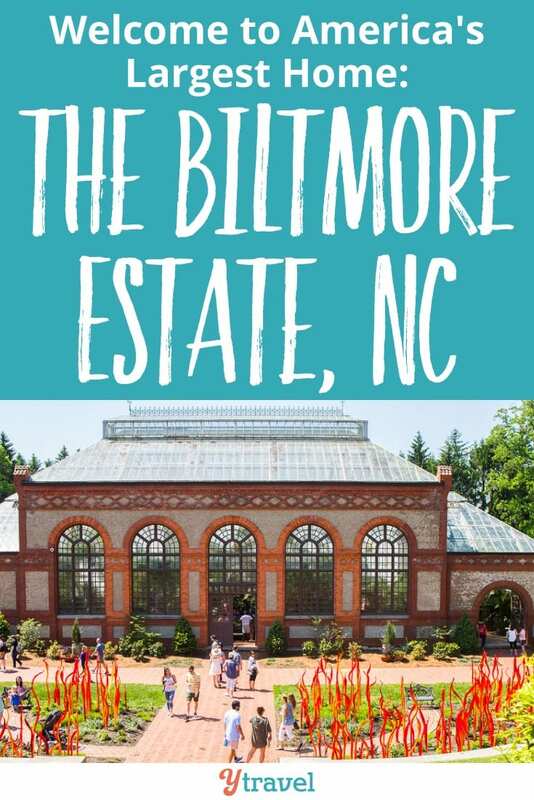 In her mind, she thought Biltmore House would be an experience similar to the southern homes we’ve seen in Charleston and Savannah and Franklin, Tn. She was probably wondering why on earth I was so excited about detouring off the main Dallas to Boston road trip path to show her Biltmore Estate. Are you ready to see your Fixer Upper Mum? Stay on site and make it a longer stay. George Vanderbilt was the grandson of Cornelius Vanderbilt, the shipping and railroad tycoon who turned $100 into $1000 million. He saw an opportunity with ferry boats in NYC and acted upon it. This lead him to recognize the opportunity in the railroad and become one of the wealthiest men in the world. So we know where George got the money to create such a magnificent home and estate. His French Renaissance chateau was built over a six-year period and completed in 1895. A few years later, bachelor George meets Edith on a cruise, they later marry and she moves into the home bringing much love and warmth to life at Biltmore. Sadly, George died early in 1914 of appendicitis. Edith closed down much of the house in order to manage the estate better. Their daughter, Cornelia, and her husband opened the estate to the public in 1930 to boost tourism in the area during the great depression. 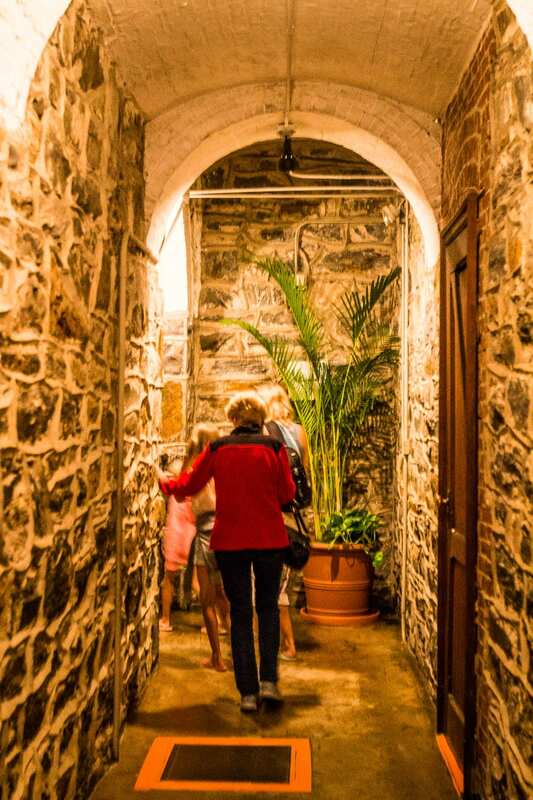 It’s been a place for people to visit and enjoy the hospitality ever since and is still a family business, owned by 4th and 5th generations of Vanderbilt descendants. 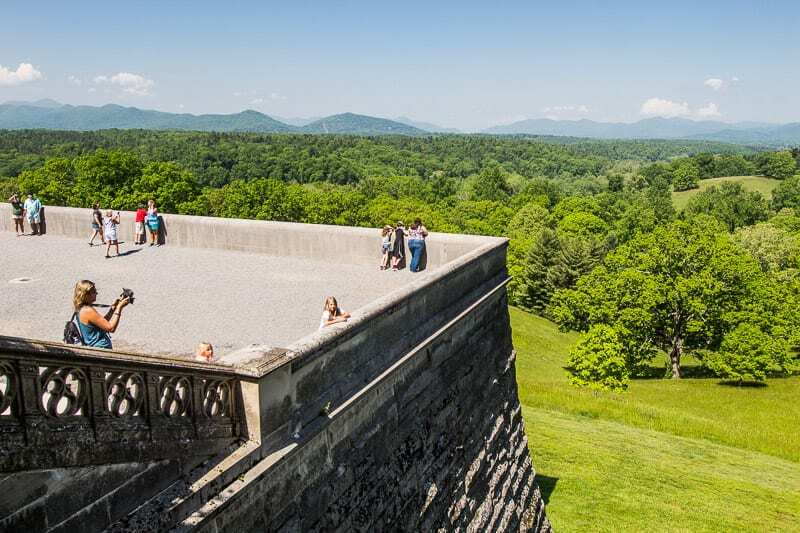 Today, the Biltmore Estate is a registered National Historic Landmark and the most visited tourist attraction in North Carolina welcoming over one million visitors a year. To me, Biltmore Estate is a special place in America to visit. Not just to experience the grandeur of this beautiful home, but to hear the story of this young, entrepreneurial, loving family who lived life with passion, service and gratitude. 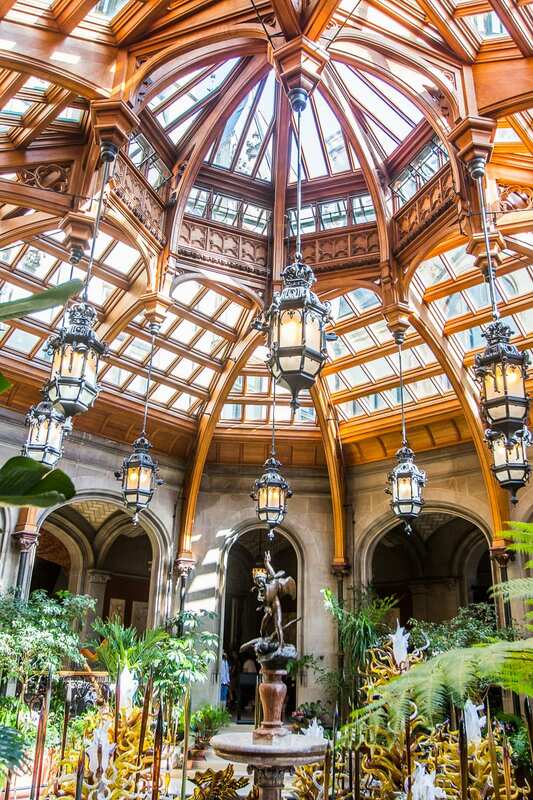 Come prepared to spend several hours at Biltmore Estate. 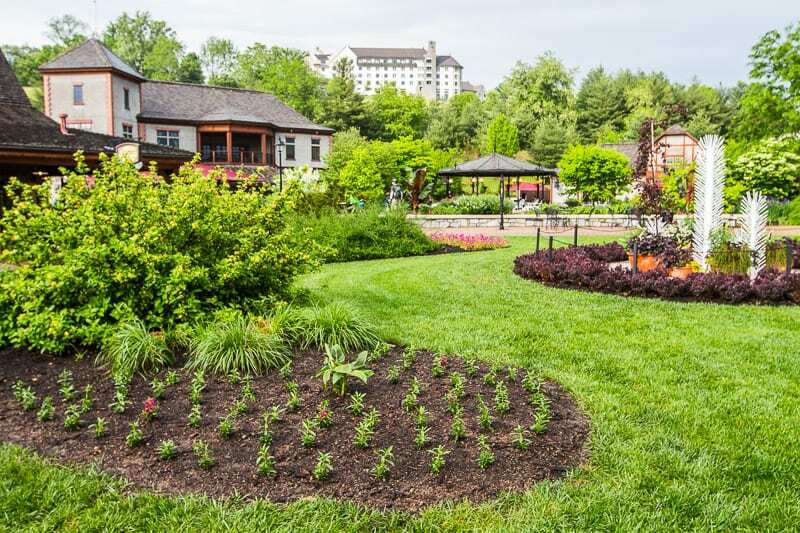 Not only can you tour the house and gardens, but you can also visit Antler Village and Winery and there are numerous activities on the estate to choose from. As we wandered through the house listening to the stories of the house and its owners on the audio guide, I couldn’t help but think of the impact travel had on their generous and vibrant spirits. George and Edit loved to travel and were avid readers. Was it this global perspective that lead them to be such generous people and gracious hosts? They opened up their home, a gigantic one at that, to hundreds of guests. All for the mere purpose of enjoyment. The home embodies the arts and cultures, things that became dear to George and Edith on their travels. Their travel helped them to connect to the beauty of nature, which lead to their desire to protect the environment more. 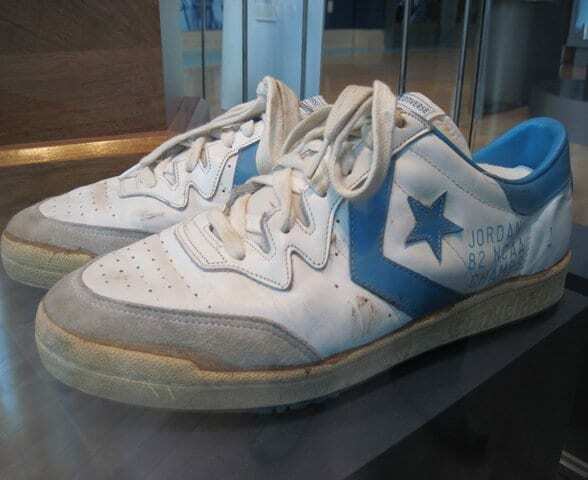 They contributed to the greater community through charity programs and good service. Their intention being to help those help themselves. Was this source of empowerment something they learned as they traveled? My curiosities lead to me answer probably yes. Travel opens up your world and transforms you so much that your focus moves more to one of celebration, wonder, and contribution. 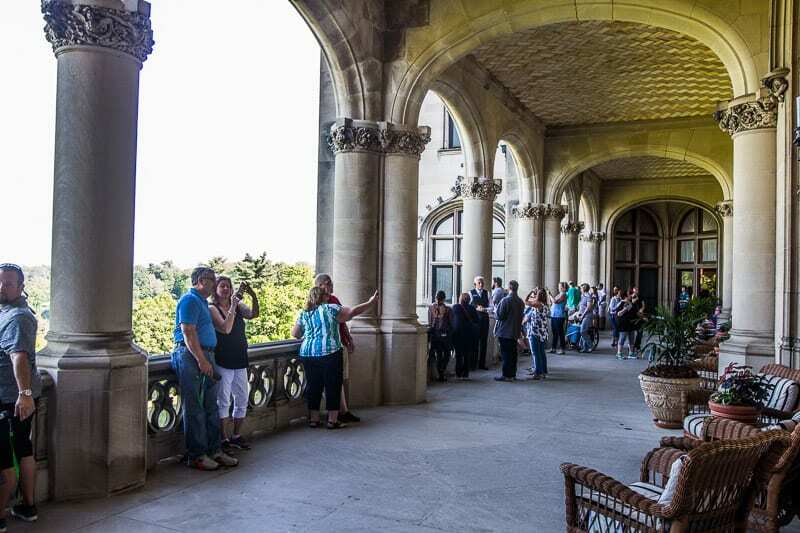 The Biltmore Estate continues that theme of celebrating and contribution with regular events throughout the year such as concerts, tea parties, and movies under the stars. How does a 250 room house in the country sound? To George Biltmore it was the ultimate country retreat, a place to create memories and experience joy with family and friends. To us, it’s a place to imagine and inspire our own dreams of success, contribution and passionate living. 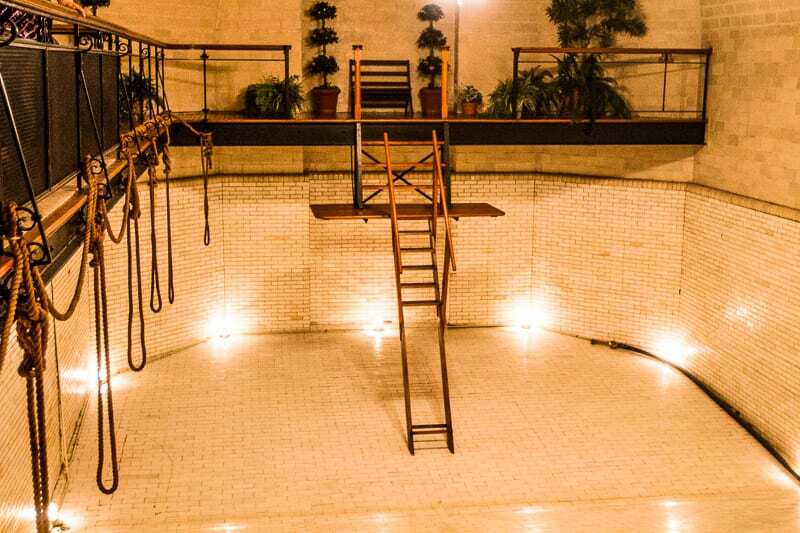 A 90 minute audio tour guides you through three levels of the home and the basement. 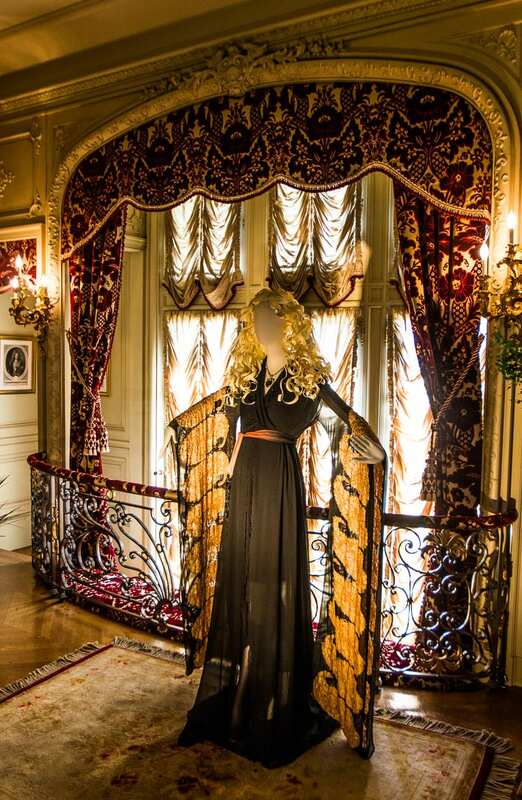 You’ll see displays of vintage clothing, accessories, art, furniture, and more that tell stories and illustrate the lives of the Vanderbilt family, their guests, and employees. 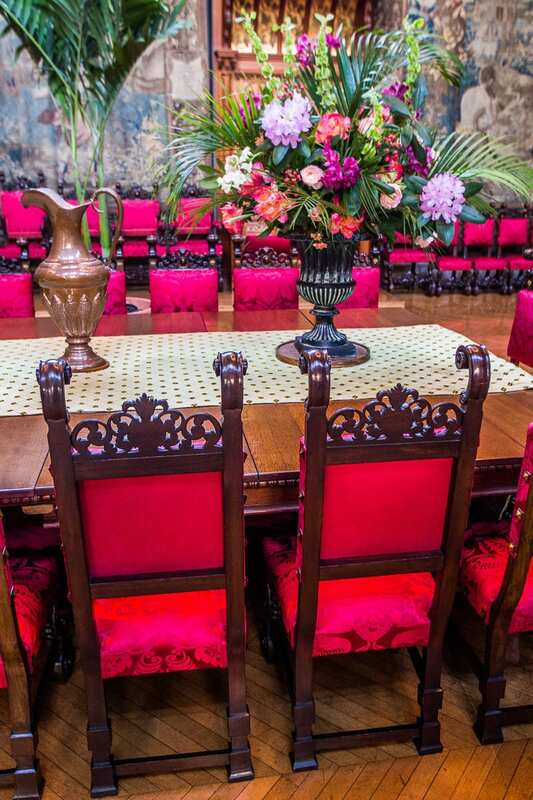 Rooms like the entrance hall, winter garden, the banquet hall and breakfast room depict what a great home it was for entertaining. Each room tells a story of gatherings, work, parties and personalities. 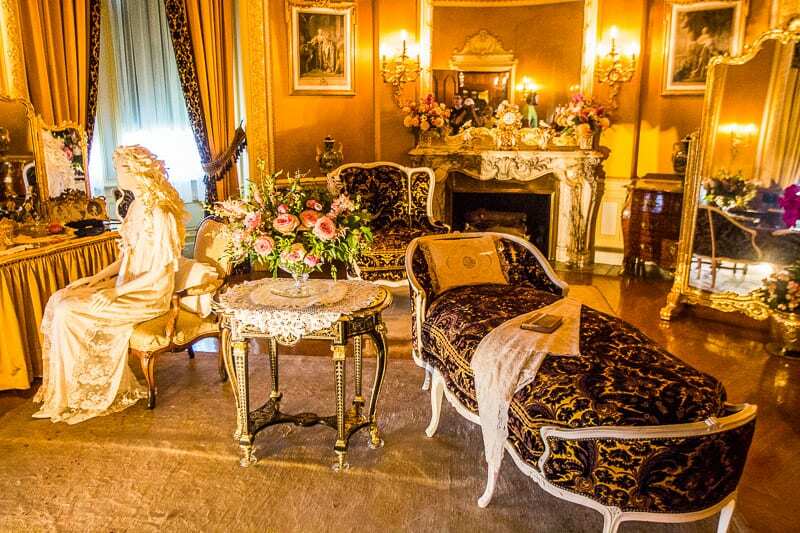 You even get to visit George and Edith’s bedrooms and other guests rooms. 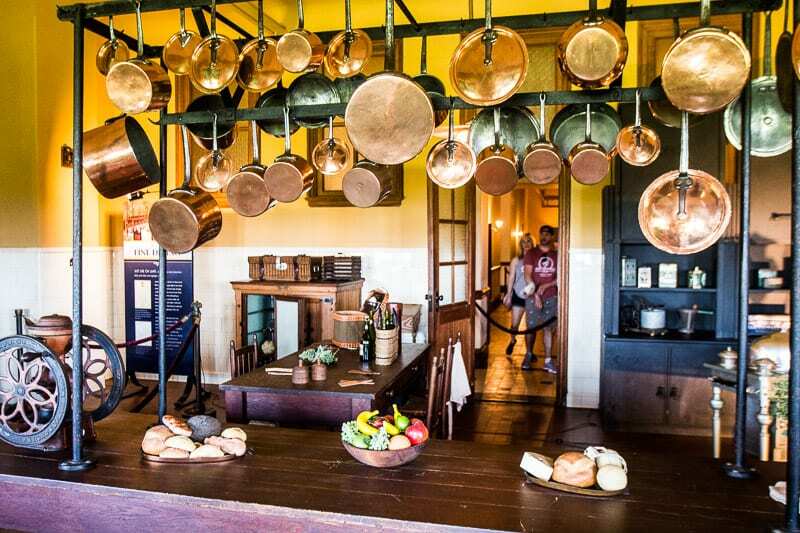 In the basement level, you gain an insight into life for the workers as you walk through the laundry room, staff quarters and kitchen, a bustling place of activities where stoves roared from 6am to midnight catering to the owners and guests in the house. The staff were treated with kindness and fairness. With New York wages it was quite the desired place to work. There was no entitlement. Everyone knew their place and they appreciated the opportunity to work there. George was a strict boss, but also very kind and caring. He believed that if you expect the highest from people, they’ll rise up to the challenge. You could feel this warmth in the energy of the house and the stories that were shared as you wander through it. There is a kid version of the audio guide as well. The girls loved the home and were were engaged with the stories they were listening to. 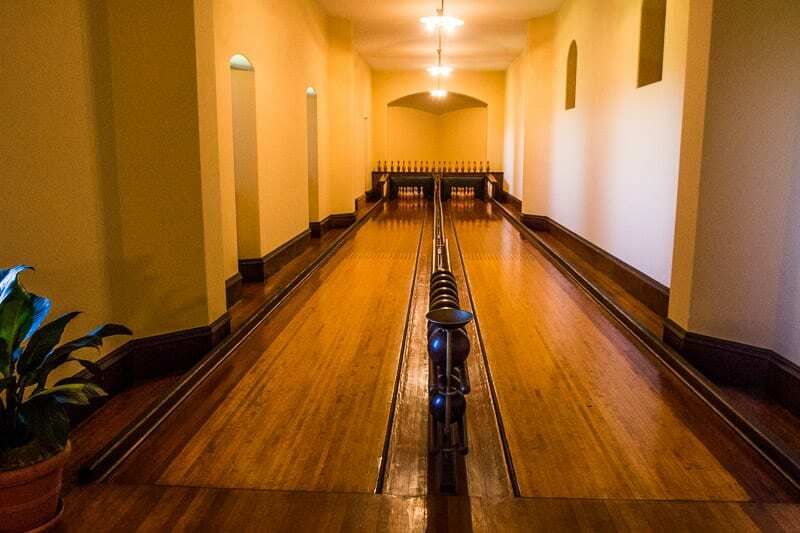 They especially loved the bowling alley and pool that was in the recreation area of the home. Children’s audio guides are a fantastic way to help kids learn and interact in learning experiences. I loved the back verandah with the gorgeous views of the Pisgah National Forest. The audio guides are included with your ticket. There are also guided house tours and behind the scenes tours like a rooftop tour you can pay an entrance fee for. 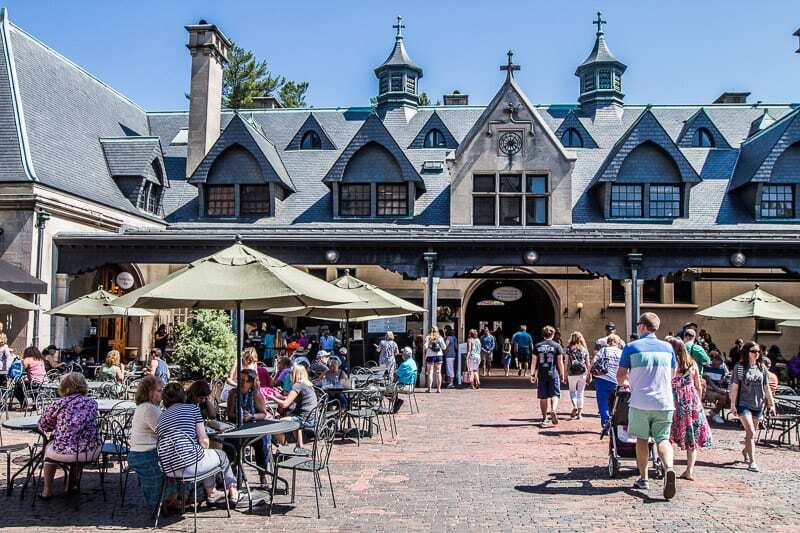 Outside of the Biltmore mansion is the old carriage homes which have been converted into shops, cafes and light bites. 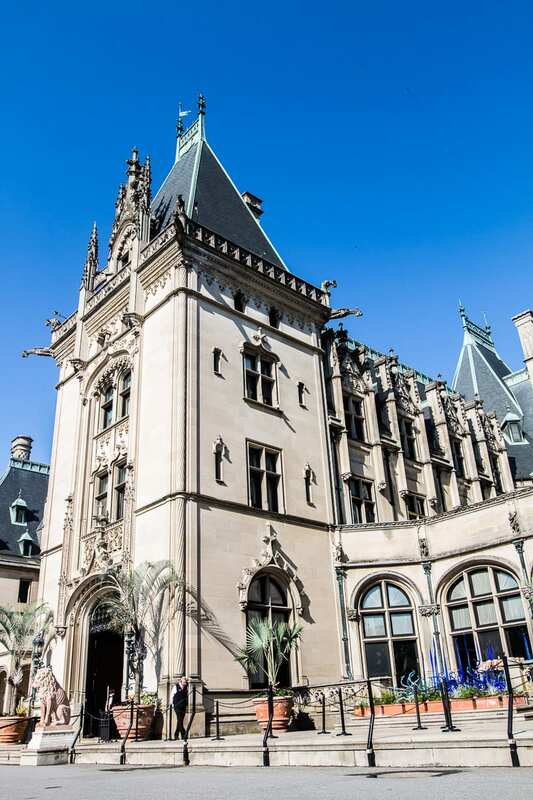 We visited Biltmore Estate during this Titanic exhibit. 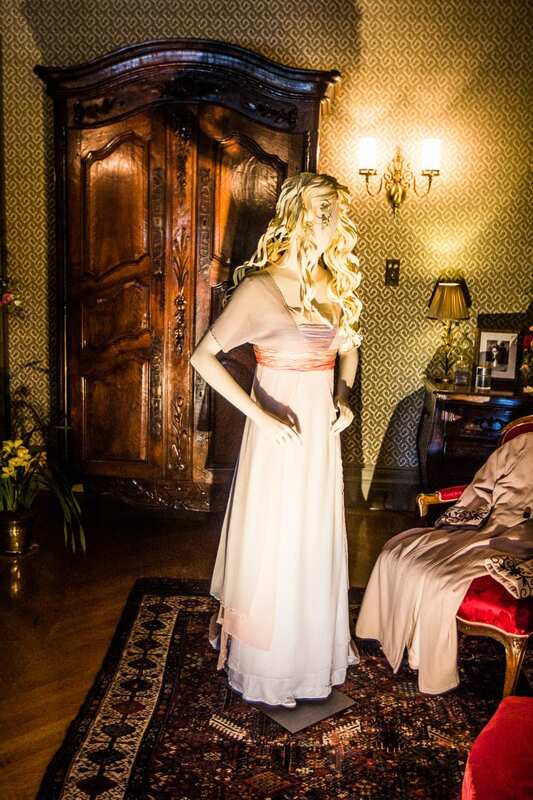 Each room in the house had a costume display from the Titanic, showcasing the real outfits worn by the cast of the show. I loved how each costume tied into the theme of the room and the period of the time depicting life during those times. It made what we were seeing feel more real. Large banners showing correlating scenes of the movie with the actors in those outfits. Who doesn’t want to relive the love story of Jack and Rose? It was the most brilliant setting for it. 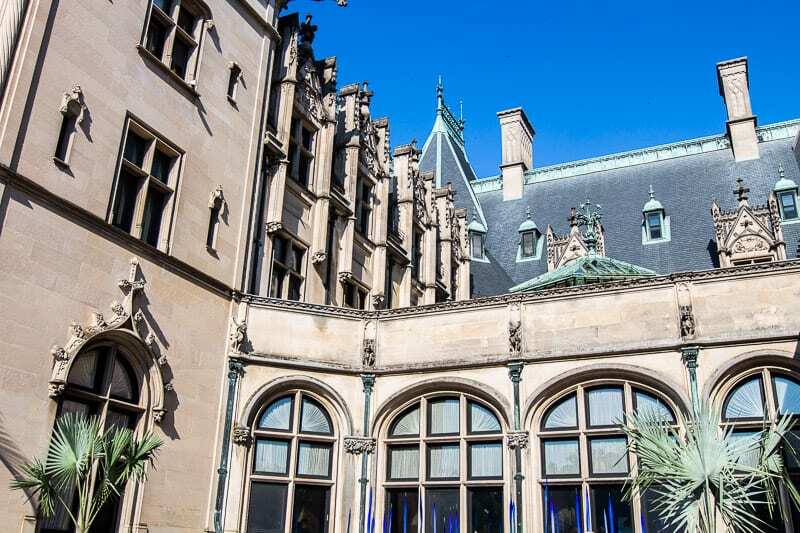 Surprisingly, there is another connection to Titanic and the Biltmore Estate. Not only did they meet and fall in love on a cruise, but Edith and George were due to sail on the Titanic but changed their plans at the last minute!! George Vanderbilt recognized the importance of a landscape that nourished the spirit and body. He chose the perfect setting for his country home and got to work in creating tranquil and stunning gardens to match the marvel of his home. 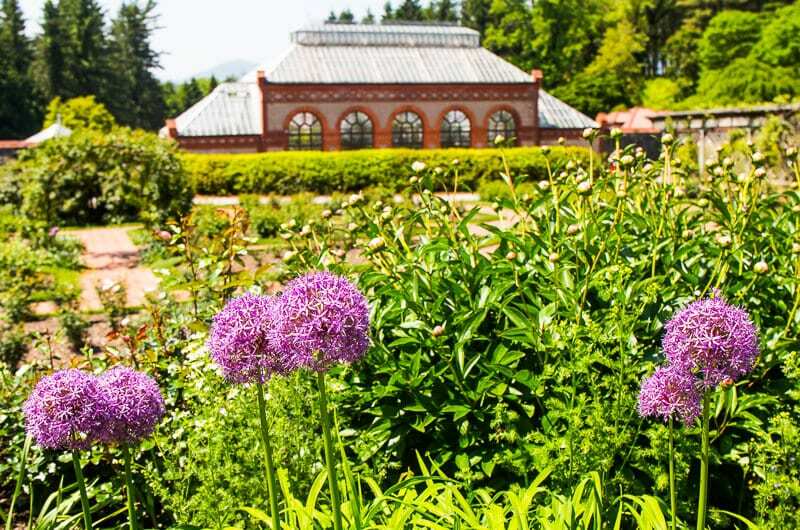 Leave yourself a couple of hours to stroll acres of formal and informal gardens, which were designed by America’s foremost landscape architect, Frederick Law Olmsted. 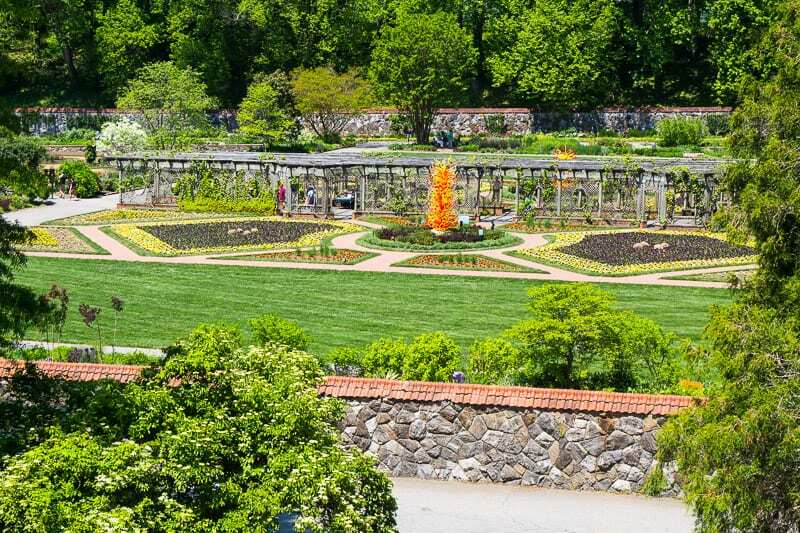 As you stroll through the gardens imagine what life would have been like as a guest of the Biltmore back during the day and how much the freedom, beauty and fun of the estate helped to nourish your spirit and body. 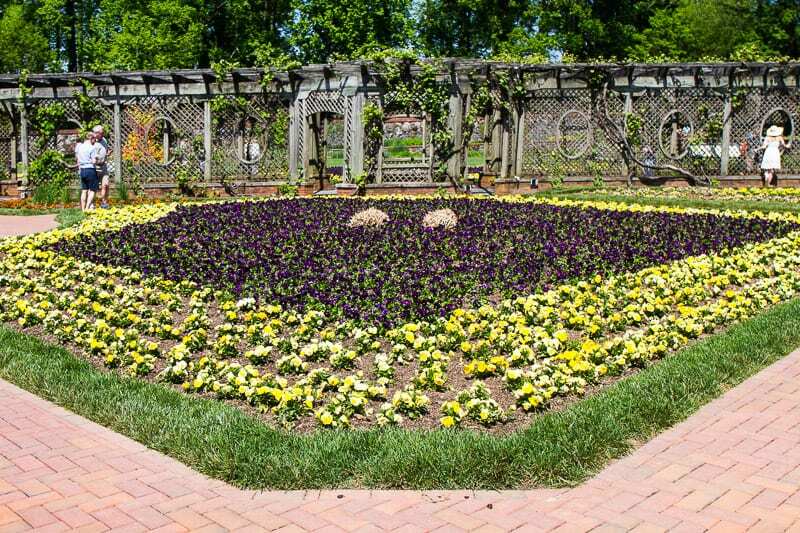 There are numerous gardens to visit including the Italian garden, shrub garden, spring garden conservatory and rose garden, which has over 250 varieties. We visited during spring so the gardens were in full bloom; it was a vastly different experience to our first visit to the Biltmore Estate for the Christmas lights. The library offers a shaded area of wisteria and trumpet creeper vines to relax with views out over the terrace, which is a large open space originally designed to be a bowling green. The highlight of this area are the views out over the estate and forest. 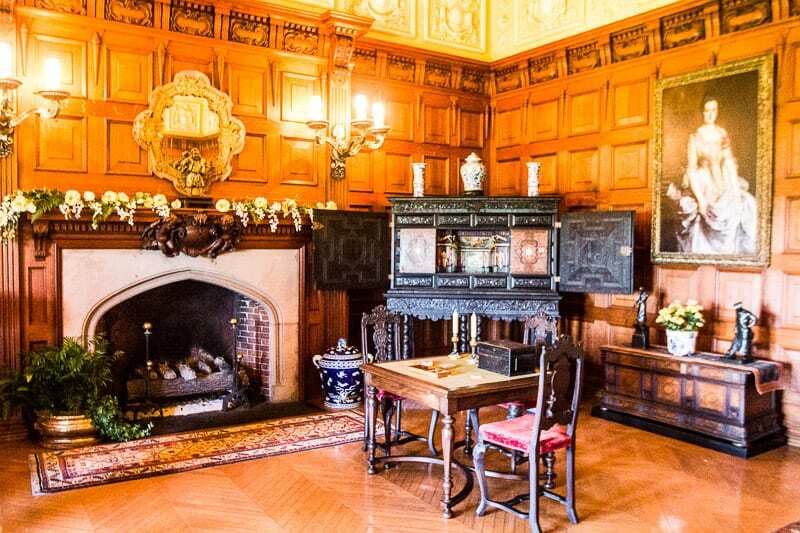 I loved learning about George Vanderbilt’s commitment to preserving nature. 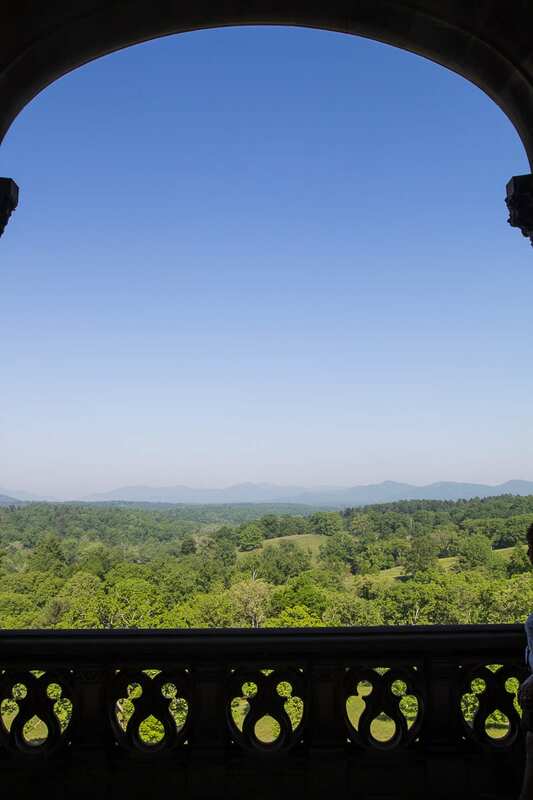 Biltmore Estate land had previously been cleared for farming and timber. They improved the existing woodland by removing poorly formed and damaged trees and reforesting eroded and worn out farmland. The Biltmore Estate also has an extensive network of trails. Hike the grounds of our estate at your own pace with our extensive network of trails including a walk along the French Broad River, through lush green forests, or the open meadows of Deer Park. 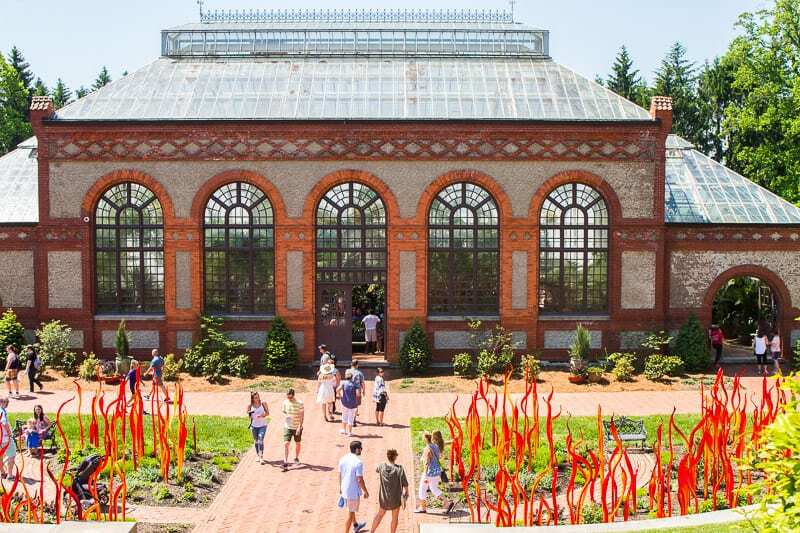 As we wandered around the gardens of Biltmore estate we were able to see many of the colorful glass sculptures on exhibit by American artist Dale Chihuly. The exhibit was due to open a week after our visit. It’s still open until October 7, 2018. 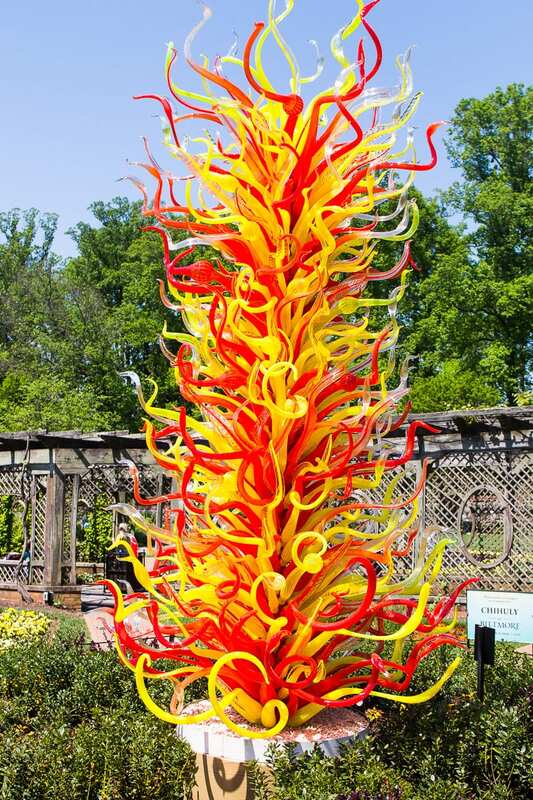 The vibrant colors and captivating shapes of his sculptures set alight the historic gardens of Biltmore. You couldn’t find a more spectacular art gallery. 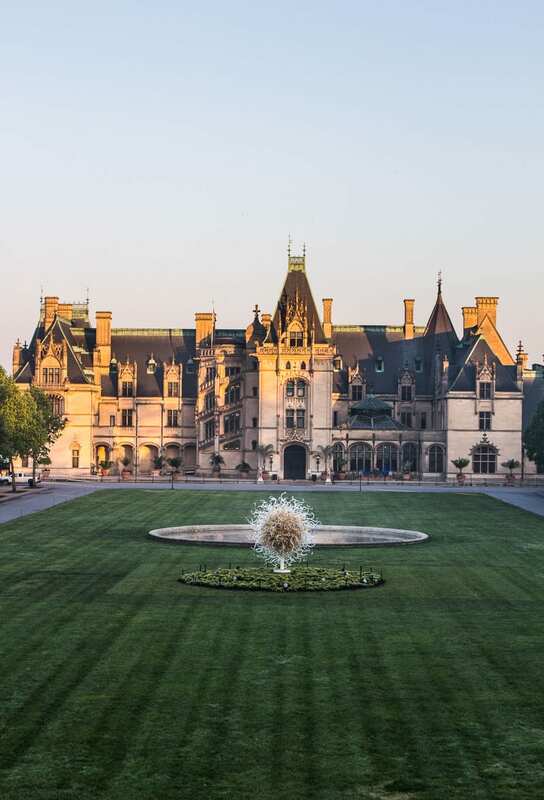 Biltmore House & Gardens will open to the public for special viewings of Chihuly’s stunning large-scale glass sculptures after dark. Yes. Biltmore Estate has a winery. In fact, it is the most visited winery in the USA! 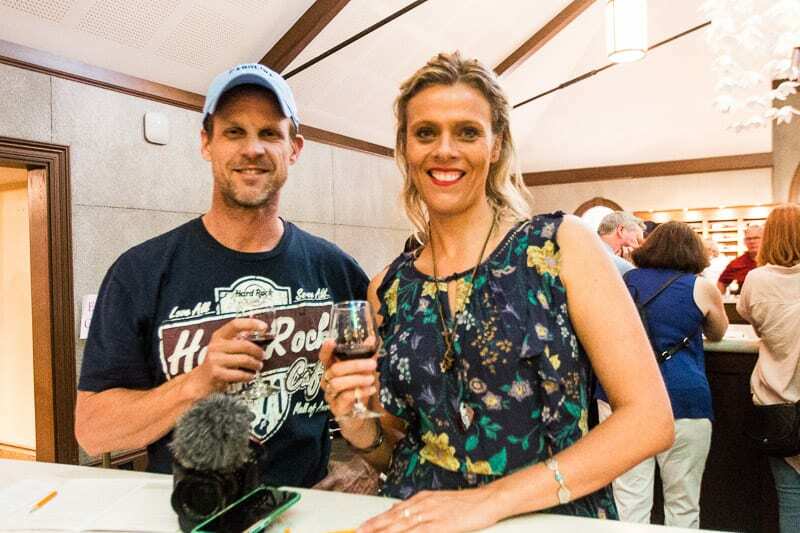 The good news is that you get free wine tasting of more than 20 handcrafted wines, many of which are award winning. There is complimentary grape juice for the kids as well. There is an indoor and outdoor wine bar as well should you decide to let those reds linger a little longer. There are a few restaurants and shops in Antler Hill Village, and live music was playing in the village grassed center area when we visited. 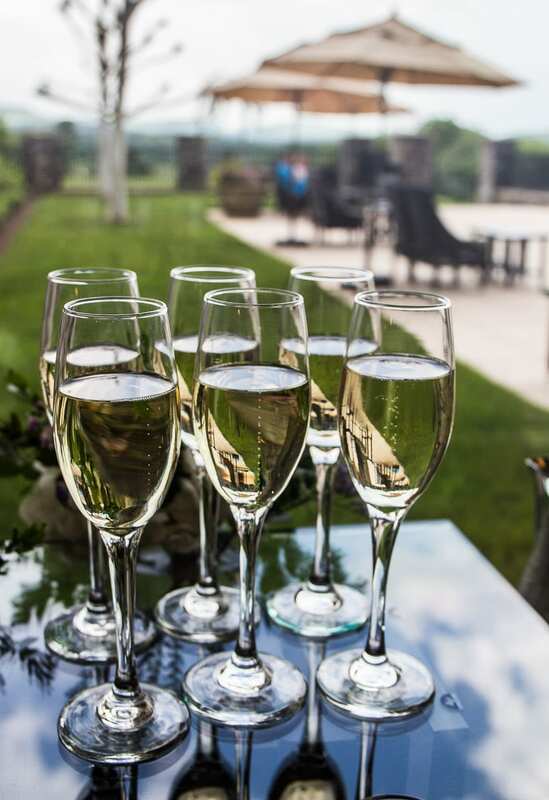 Biltmore continues the legacy of farm to table that has been a part of the estate since its beginning. The Herbs, fresh salad greens, and berries come straight from our gardens and fields into our kitchens and onto your table. Other ingredients such as mountain trout, farmstead cheese, and grass-fed beef and pork are sourced from local farmers and producers. We ate at Village Social which was casual and decently priced. 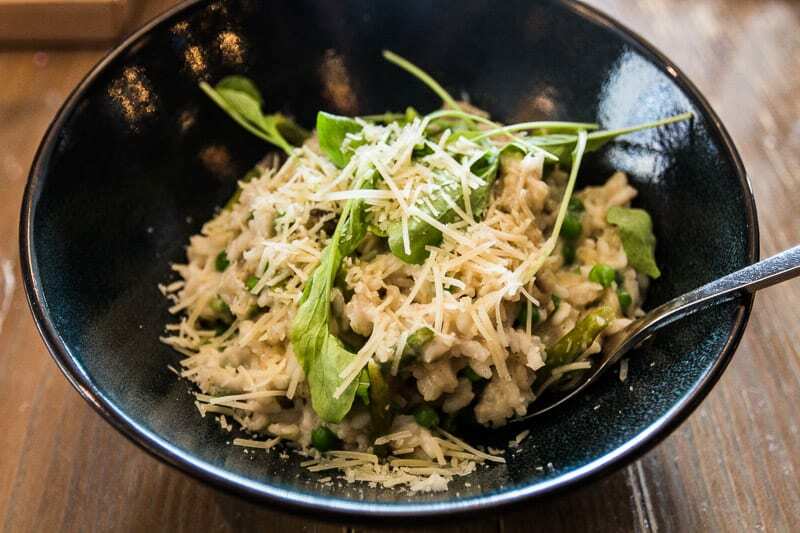 My mushroom & spring pea risotto was delicious and the service was excellent. The Barn in the Village is a place the kids will love. It features blacksmiths, woodworkers, craft demonstrations and animals in the Barnyard. We missed this as it was raining pretty hard the afternoon we visited. They have never stayed in a place quite like it and were almost breathless when they walked into the grandeur of the hotel foyer and the magnificent mountain and valley views that stretched out in front of them. I just had to grab one of the welcome complimentary glasses of champagne from the winery to appreciate the view with! Biltmore elegance continues to live on at the Inn on Biltmore. If I was to plan our trip over again, I’d drop a night somewhere else to have one more night at the Biltmore Inn. One night was simply not enough to enjoy the experience of this four star luxury hotel. And of course the girls were in heaven. Both of my spoilt travel babies prefer the four and five star life and get disappointed when we often book the three star hotel!! I felt like part of the Biltmore family enjoying a glass of tea in the library lounge watching the sunset over the valley with views of the Estate’s twinkling lights in the distance. The service and hospitality at the Inn on Biltmore Estate is exceptional. George and Edith would be very proud. 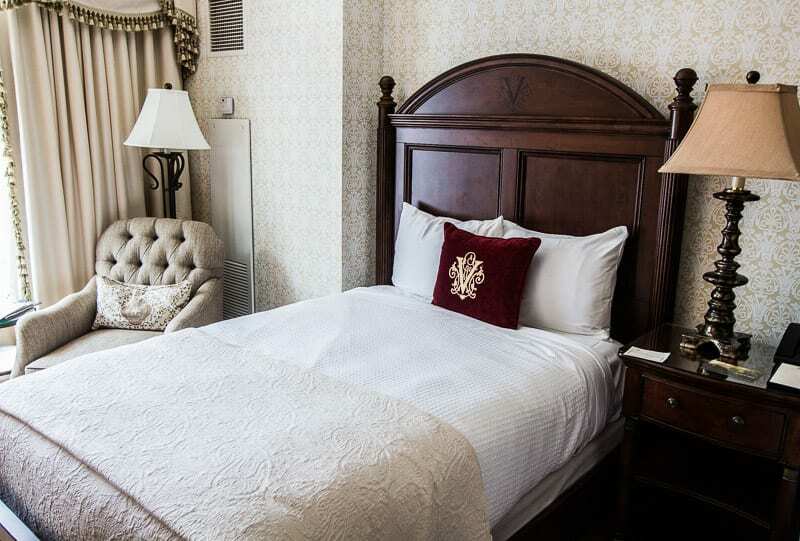 The rooms were decorated in the elegant Biltmore style and were comfortable. 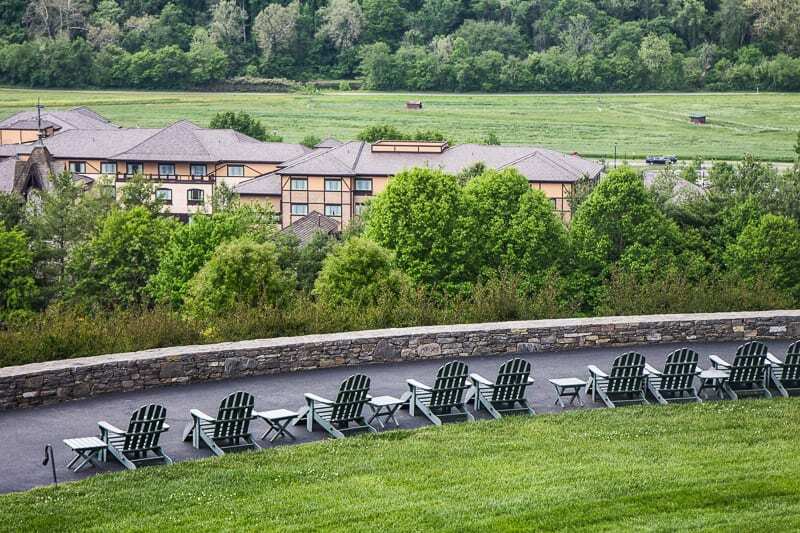 An overnight stay at Biltmore includes access to Antler Hill Village & Winery. 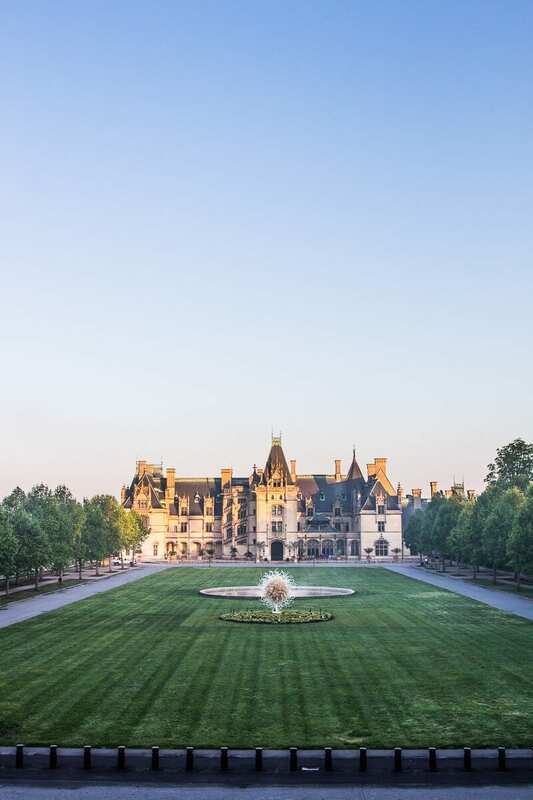 You can purchase a package which includes your tickets to the Biltmore House. Get there early. You will beat the queues and the crowds. Plan in advance so you can visit for special events. 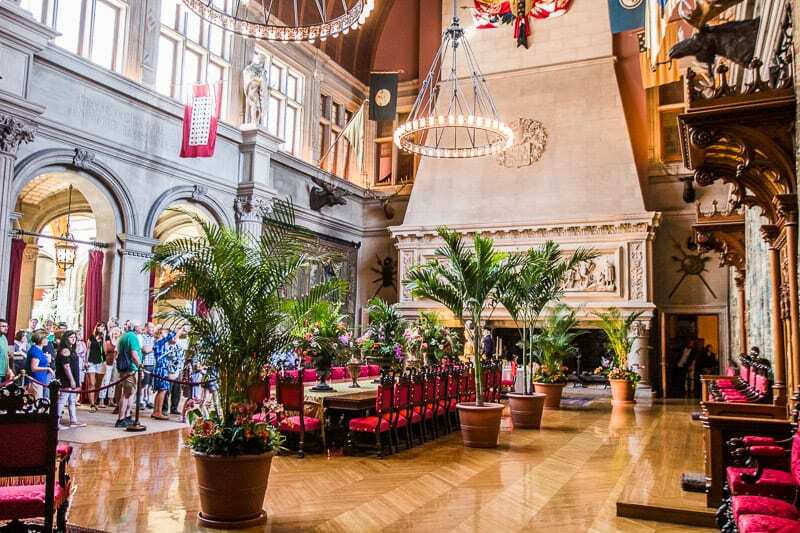 Christmas at the Biltmore is spectacular with the lights, and Spring with their incredible floral displays in the gardens are not to be missed. Purchase your tickets in advance. With seven or more days advance purchase, you’ll save $10 per ticket. Visit during the week to avoid weekend crowds. Kids 16 and younger admitted free all summer (through Labor Day)! 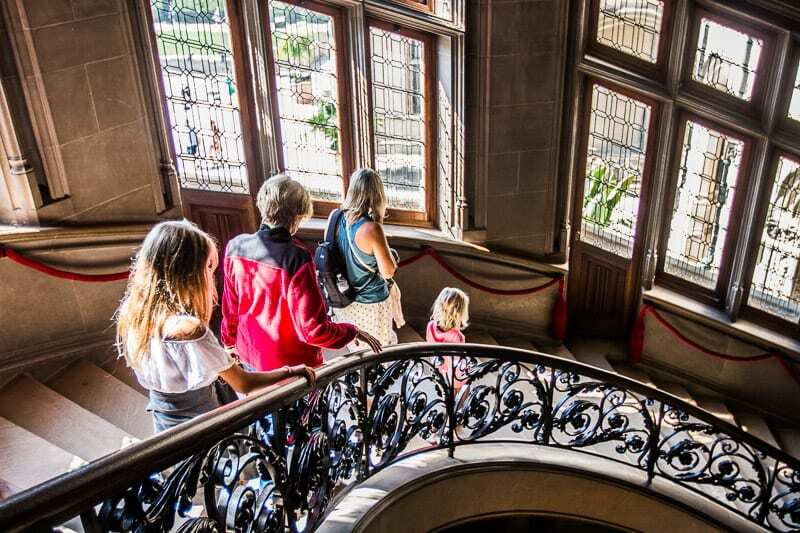 The rest of the year, kids ages 9 and younger are admitted free when accompanied by a paying parent or guardian. 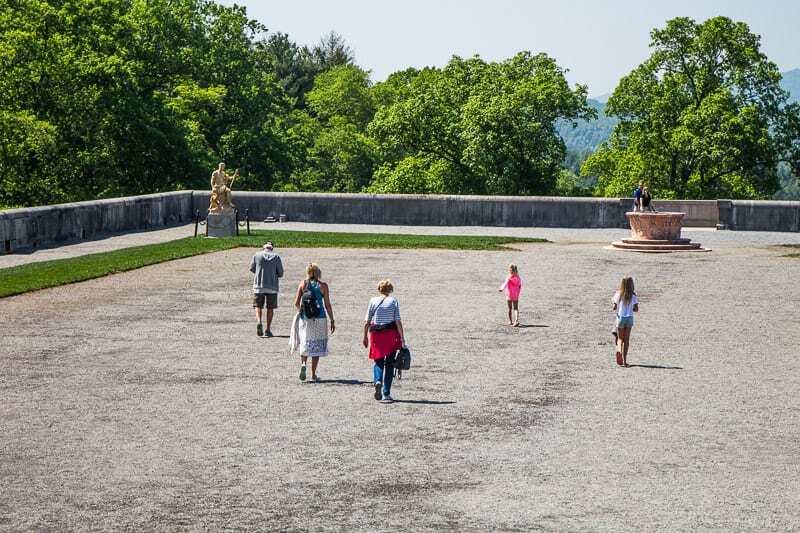 Arrive at least 45 minutes prior to your Biltmore House entry to allow time to park and catch a shuttle to Biltmore House. A car is required for travel between locations on the estate. The estate is huge and distances between some places can be close to 5 miles. Click here for car rentals. If you live in the area or may visit a couple of times each year, it may be worth getting an annual pass. 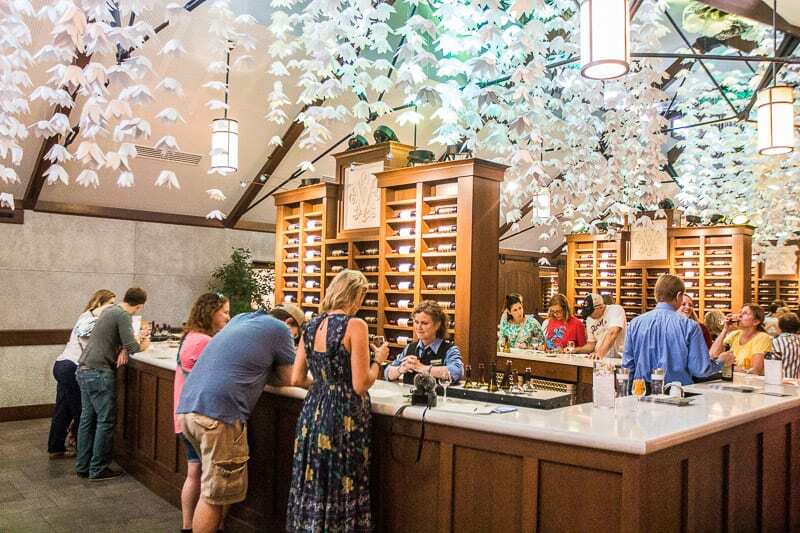 Passholders get savings on food, outdoor activities, shopping, guided tours, and wine experiences — including up to 25 percent off bottles of wine. You’d also receive two free tickets each winter to give away and buy discounted admission tickets for family. You can buy admission tickets with an all inclusive lunch through our partner Viator. 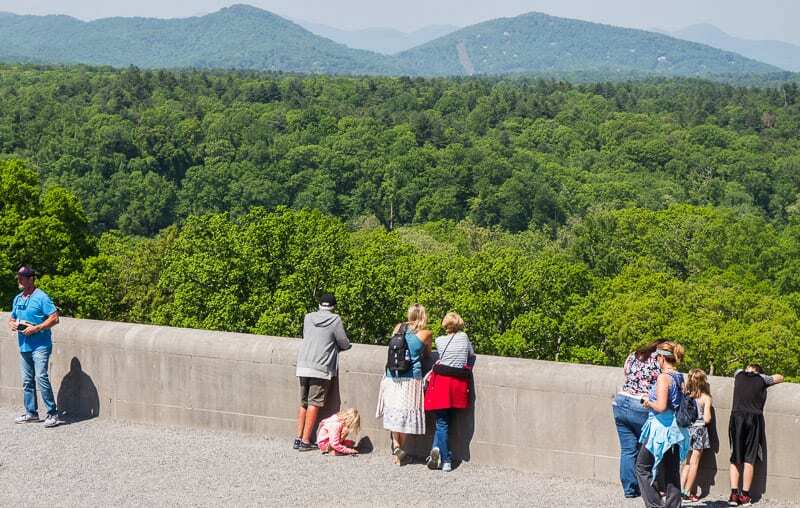 There is just so much to enjoy on the Biltmore estate, make your visit longer than a day. 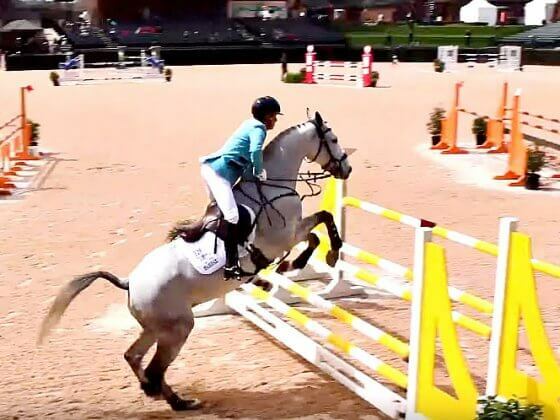 I really wish we had the time to stay longer as I’d love to experience the hiking trails, Segway tours, horse riding and so many more things that can be done on the estate grounds. We were able to visit Antler Hill and Winery on the evening of our check in and then visit the Estate the next morning. This saved us from spending a full day at Biltmore and still allowed us to see everything. It worked well since we were quite short on time. 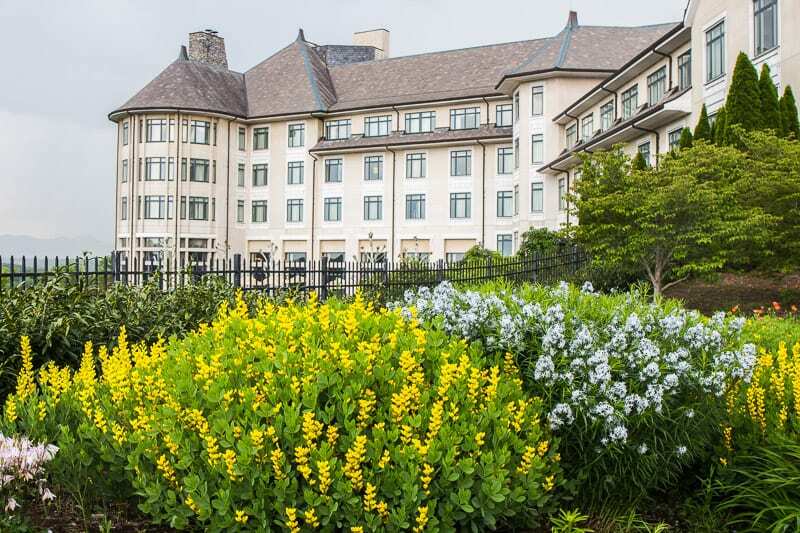 Overnight stay packages include estate admission, breakfast, and estate shuttle service for the length of your stay. The hotels have complimentary shuttle service to Biltmore House. If you are staying at any of the hotels on the Biltmore Estate, you can charge back from the restaurants and ships to your room. If you don’t want to stay at the hotels on Biltmore Estate, the Biltmore Village is a few square blocks just outside the entrance gates to Biltmore. Check out the Grand Bohemian Hotel. There are also plenty of hotels in downtown Asheville. Or, my favorite place to stay is in nearby Lake Lure. 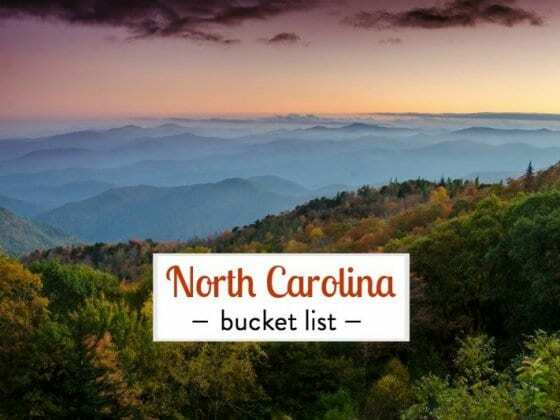 It is an hour drive away but it might be a great way to add in peace and serenity to your adventures. 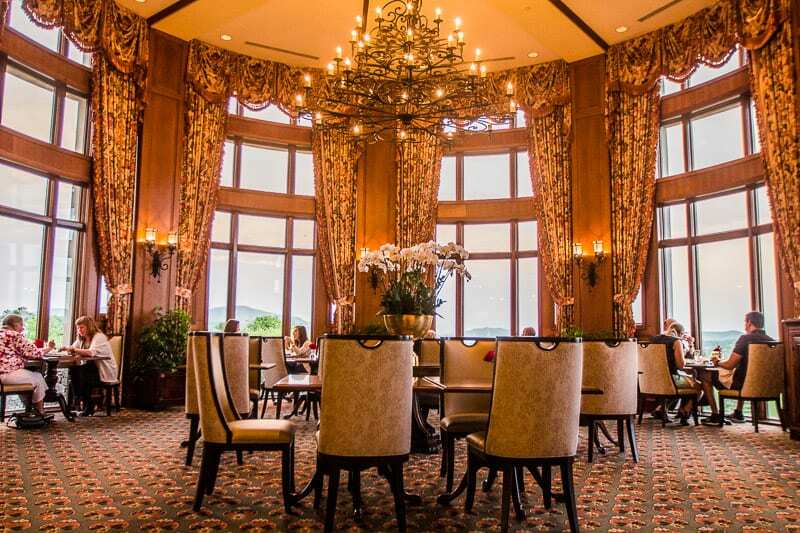 Our favorite place to stay is the Lodge on Lake Lure. There is also the Rambling Bald Resort. A Cades Cove bike ride in the Great Smoky Mountains National Park – we saw bears! 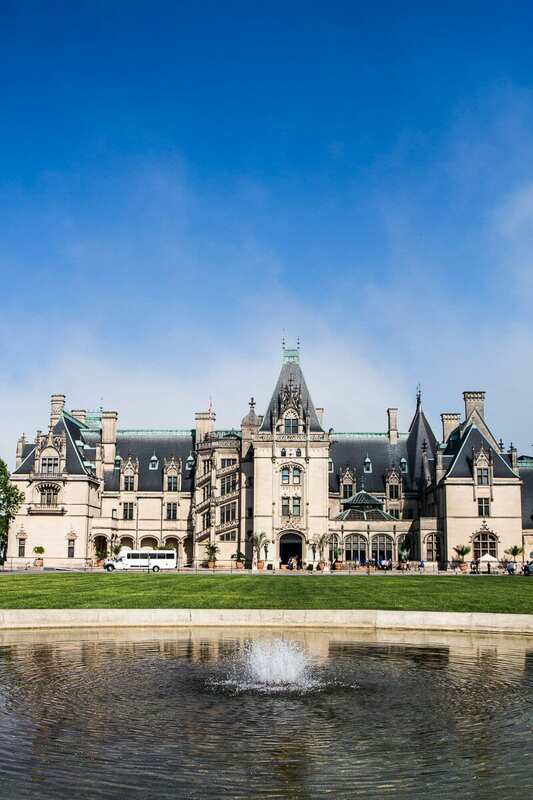 Have you been to Biltmore Estate and Gardens in Asheville North Carolina? 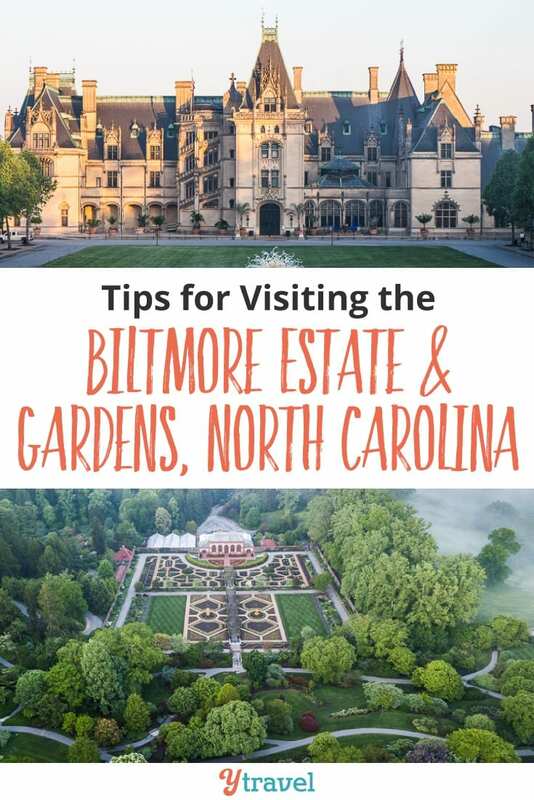 Can you add any tips for the Biltmore House?